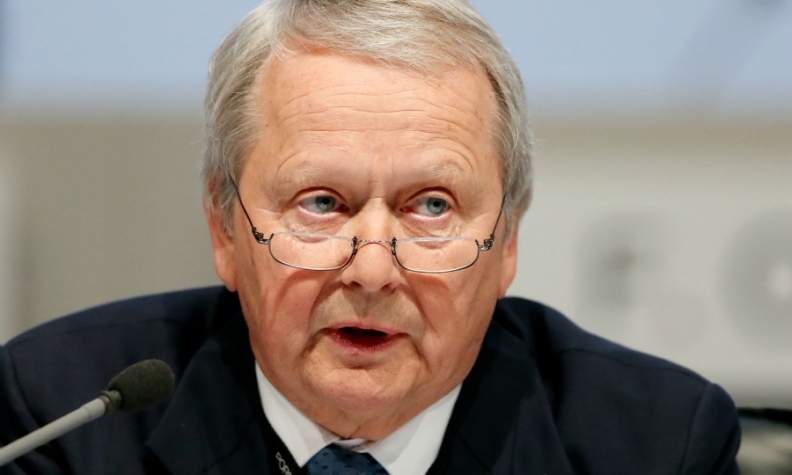 Wolfgang Porsche -- the elder statesman of the clan that controls VW Group -- has said little about the automaker's emissions-cheating scandal. As the diesel emissions scandal roiled Volkswagen Group last autumn, Wolfgang Porsche -- the elder statesman of the clan that controls the automaker -- did what he does every autumn. He put on his boots, picked up his rifle, and went deer hunting near the half-timbered Austrian farmhouse where he spent his childhood. As he has almost every year for decades, Porsche trekked through the woods above the blue waters of Lake Zell and dined at Schloss Prielau, a 16th-century stone castle he transformed into a luxury hotel. What Porsche didn't do is take a clear stance as the carmaker his grandfather helped create sank into crisis. Last September, VW Group acknowledged equipping 11 million diesel vehicles with software designed to trick emissions testers -- revelations that have cost the CEO his job and thrown top management into disarray. The crisis has sent the company's shares down by more than 20 percent, cutting the family's wealth by $2 billion. Last Friday, VW posted the biggest loss in its history and more than doubled the funds set aside to cover the costs of the emissions scandal to 16.2 billion euros ($18.2 billion). Despite bearing one of most storied names in automotive history, the family -- which controls 52 percent of VW's voting shares via a company called Porsche Automobil Holding SE -- wasn't prepared for a challenge like the diesel crisis. Bound by a tradition of consensus and discretion honed during their privileged upbringing along the German-Austrian border, family members have remained virtually mum. That has left a power vacuum even as VW faces costs that could top $30 billion and become a hit to its reputation that risks eroding sales and profits for years. Porsche, 72, made almost no public comment on the matter for months, until unions demanded a signal of commitment to the company. On Dec. 2, the VW supervisory board member traveled to Wolfsburg, where he spoke to 20,000 workers packed into Hall 11 of the giant VW factory. Porsche pledged to preserve jobs and praised management for its handling of the crisis, but said little that directly addressed the cheating. "No one here is giving in to panic," Porsche told the overflow crowd. "I am of the rock-solid conviction that Volkswagen can weather the situation and emerge even stronger." While the family has the voting power to muscle through change, they're not acting on it. The clan is a sprawling tribe of about 80 people with diverse interests and careers ranging from medicine to film to e-commerce. The ruling patriarchs, now well into their 70s, have been slow to hand the wheel to their children, few of whom have demonstrated an interest in the car business. "We are not satisfied with the way the scandal is being handled,'' said Ingo Speich, a fund manager at Union Investment, which owns almost 1 percent of Volkswagen's shares. "The supervisory board is not doing a good job." The clan's disengagement dates to 1972. After an internecine struggle over the company's direction that culminated in what family members call a "group therapy session'' at the Zell farmhouse with a professional mediator, they agreed to hand management to outsiders. And while the Porsches have had ties to VW since the 1930s, they only stumbled into control less than a decade ago -- the counterintuitive denouement of a failed bid by Porsche to take over its bigger rival. With the Porsche-Piece family AWOL, the void has been filled by VW's powerful unions, led by Bernd Osterloh. With the family AWOL, the void has been filled by VW's powerful unions. Even before the crisis, labor had an unusually strong voice, holding half of the 20 seats on VW's supervisory board and typically finding allies occupying the two seats controlled by the state of Lower Saxony, VW's second-largest shareholder. 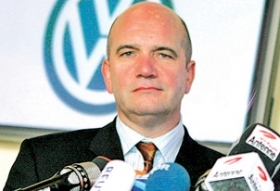 Since the crisis, Bernd Osterloh, Volkswagen's burly, combative union boss, has gone on the offensive with a message for the executive suite: This is your mess, and the workers aren't going to foot the bill. When asked to identify a family leader of the next generation, Wolfgang Porsche singles out his 38-year-old nephew Mark Philipp Porsche. Mark Philipp -- whose resume says he spent 15 years studying business in Innsbruck and who is married to an Austrian television personality -- sits on the boards of VW Group Spanish brand Seat and the MAN truck unit. He declined to comment. "They're not a bunch of technicians," Wolfgang Porsche said as younger family members checked out VW's latest offerings at the Geneva auto show in March. "But they don't have to be technicians. What's important is understanding and a clear head." One non-technician seeking a bigger role at VW is Peter Daniell Porsche. His father, Hans Peter Porsche, 76, has said he'll hand his board seat in the family holding company to Peter Daniell by 2020. When he inherits his father's shares, Peter Daniell -- an only child -- will have the largest individual stake among the family's fourth generation. A former teacher at an alternative Waldorf school who in 2012 published a book titled "There's More to Life Than Building Cars," Peter Daniell, 42, is stepping up his engagement in the company. In the past two years, he has joined the board of VW Group Czech brand Skoda, started serving as vice chairman of a foundation run by VW's unions, and has been advising Porsche Design, a subsidiary that sells branded luggage and fashion accessories. "I stand behind the company, absolutely," Peter Daniell said in the renovated 16th-century mill in Salzburg where he manages his investment interests. "But I'm going about it in my own way." 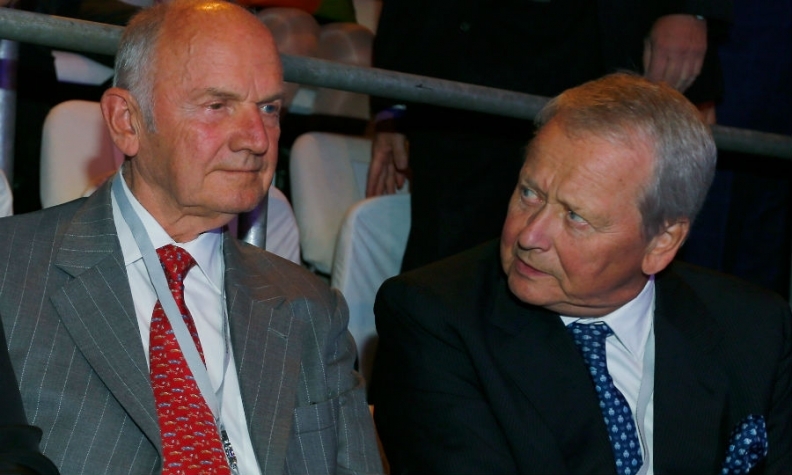 The family lost its strongest voice at VW a year ago, when Wolfgang Porsche's cousin, Ferdinand Piech (left), quit the supervisory board. The family lost its strongest voice at VW a year ago, when Wolfgang Porsche's cousin, Ferdinand Piech, quit the board after more than two decades as Volkswagen's guiding force. He started as an engineer at Porsche then transferred to VW Group premium brand Audi. In 1993 Piech took over as VW's chief executive officer, bringing the company back from near bankruptcy. In 2002 he became chairman of the supervisory board and helped make VW the world's biggest car maker. Last April, the 79-year-old Piech was forced out after battling with then-CEO Martin Winterkorn (who resigned five months later because of the emissions scandal). Piech had sought to forge a dynasty at the company by naming his wife Ursula -- a former nanny for his family and 19 years his junior -- to the board in 2012. Fund managers at the time criticized her appointment, saying she was unqualified. Ferdinand could hardly be more different from his cousin. Where Wolfgang is soft-spoken, a bit portly, and comes off as an avuncular country gentleman. Piech is all sharp angles, hard edges, and vicious in a fight. In his autobiography, Piech talks at length about ousting executives on his way to the top and insists harmony in the executive suite is overrated. The cousins had a falling out when Porsche sided with Winterkorn during the dispute -- which Piech took as a personal affront, according to people close to the family. After a standoff with other directors at a small airport near Wolfsburg last April, Piech and his wife quit the board. Piech is frustrated by his family's handling of the diesel crisis and remains estranged from most members on both sides of the clan, people who know them say. He declined to comment. With Piech sidelined, Porsche stands alone at the head of the family, but he has done little in the role. The family now has four seats on the 20-person supervisory board, two of them from the fourth generation: Ferdinand Oliver Porsche, a 55-year-old Salzburg lawyer who has been a director since 2009; and Ferdinand Piech's niece, Louise Kiesling, 58, who joined the board last year. The current generation "has stayed on the horse so long that the younger generation cannot really get up to speed," said Marc-Michael Bergfeld, a professor specializing in family firms at Munich Business School. "Succession should have been prepared five to 10 years ago." The family's links to the company began with Ferdinand Porsche, who designed what became the VW Beetle under a contract with Hitler to develop a "people's car." After the war, Porsche was jailed in France for almost two years due to his ties to the Nazi regime, but was released without charges in 1947. When he died four years later, his son, Ferry, took over as the company was ramping up production of a sporty two-seat vehicle called the 356. In 1963, Porsche introduced the slinky 911, and the family prospered from building those iconic speedsters -- original U.S. list price $5,500 -- and pocketing a licensing fee from VW for the Beetle's design. In 2008 -- a time when VW sold more cars in a week than Porsche did in a year -- the sports car maker said it planned to buy its bigger rival. As the financial crisis devastated markets worldwide, Porsche was forced to abandon the bid, and Volkswagen soon turned around and swallowed the smaller company. On a rainy summer day in 2009, Wolfgang Porsche's voice trembled and his eyes brimmed with tears as he told 5,000 workers gathered in the factory courtyard that the company would be folded into the Volkswagen Group. Despite that moment of anguish, the family emerged with control of Europe's largest automaker, a colossus that last year sold 9.9 million cars and had revenue of 213 billion euros. Though the Porsches were never poor -- at least a half-dozen have attended the Lyceum Alpinum, an $83,000-per-year boarding school in the Swiss Alps -- the VW deal has proved to be a windfall. In 2014, family members got 307 million euros in dividends from their holding in Porsche SE, roughly four times what they received eight years earlier. Nonetheless, the Porsches and Piechs keep a low profile. Many drive Porsches, of course, but they get no discounts on the cars. Wolfgang Porsche usually attends the annual Opera Ball in Vienna, when the city's gilded opera house is transformed into a sparkling ballroom. And they are prominent backers of the Gaisberg Rally, a vintage car race up a mountainside just outside Salzburg every May. With VW's dividend all but eliminated due to the crisis, the family holding company will also take a hit. On April 22, Porsche SE said it would slash its dividend by 90 percent, then three days later shifted gears and said it will only be decreased by half. Though the company wouldn't say whether the change was made at the family's behest, any cut will mean tough choices for some of them, says Ernst Piech, Ferdinand's brother. Family members "have gotten used to that income," said Piech, who sold his stake in the company to his siblings in the 1980s and now runs a vineyard in southern England. "They have other investments where they need the money." To maintain stability as the number of family members grows, the patriarchs have created structures designed to encourage the next generation to stick with the company. In 2007, Ferdinand Piech put his stake of about 13 percent in Porsche Holding into two foundations outside the immediate reach of his children, and included a clause that requires nine of the 12 to approve any share sale. The Porsche side of the clan isn't as restricted, but anyone who wants to sell must first offer their shares to other family members at a discount.